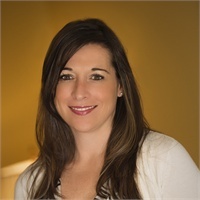 Jamie Scott | Davis Financial Advisors, Inc. I never thought when I took a part-time job in college at an investment firm, over 22 years ago, that I would turn my part-time job into a life time career. Over the last 22 years, I have had the opportunity to work for both large and small investment firms. In addition, I have also worked in back office operations of a regional Broker/Dealer. This experience has given me in depth knowledge from "both sides of the playing field" which allows me to provide better service to our clients. I currently hold my Series 7 & 66 FINRA licenses, as well as my Tennessee insurance license. I am an avid sports fan (WAR EAGLE) and love to travel. I prefer only warm and sunny destinations. I guess growing up in South Alabama doesn't provide a love for snow! I am married to Curtis Scott, who is a Captain with the City of Knoxville Fire Department. We have four daughters and are active members of The Church at Grace Point in Cleveland, TN where we reside.